Diagnosis of melanoma is done when doctor suspects some spot on the skin to be one of the symptoms of melanoma. 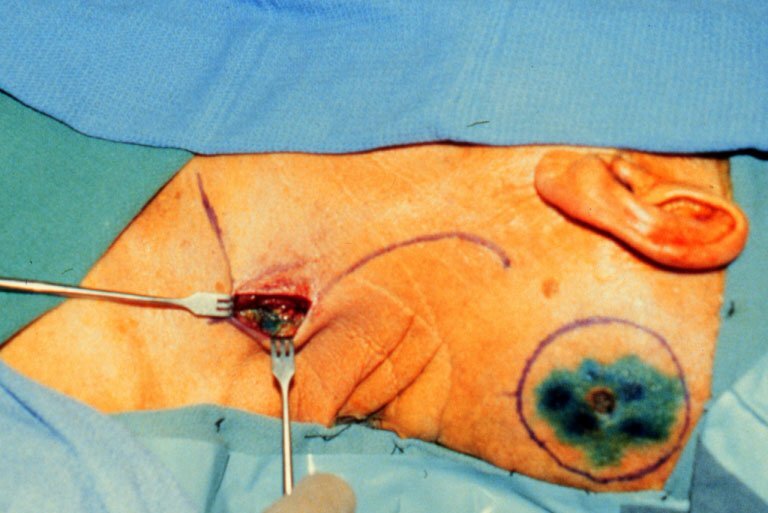 A biopsy is a general way for a definite diagnosis of melanoma. This procedure and melanoma treatment involves removing all the suspicious tissue growths. But if the growth is too large to remove, the doctor just takes a sample of that specific affected tissue. A biopsy is done usually in the doctor’s office using anesthesia. The doctors do not shave off the affected suspected melanoma tissue growth. If the diagnosis of melanoma is found to be positive, the doctor then needs to find the stages of melanoma. The doctor can describe the melanoma treatment choices with the patient.Melanoma treatment depend on the extent of the disease, general health, patient’s age and other factors. Patients with melanoma are treated by a team of expert professionals which includes dermatologist, radiologist, surgeon, medical oncologist and plastic surgeon.